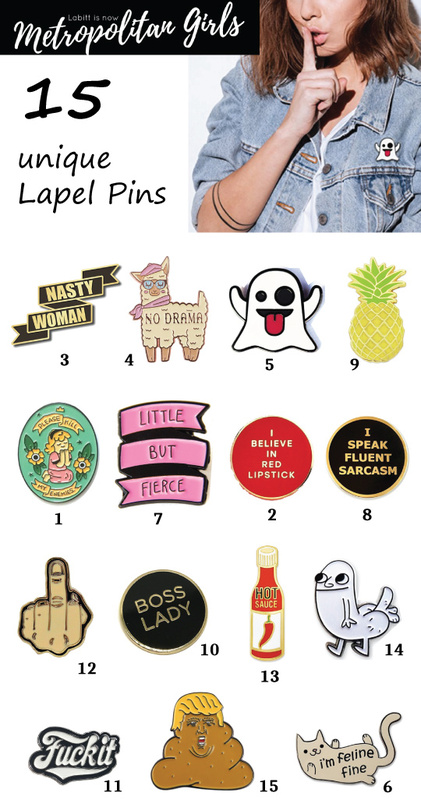 Attention to all pin lovers! 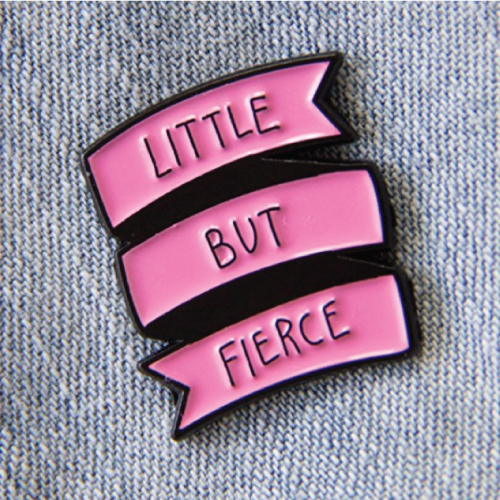 Here’s a list of 15 must-have cute lapel pins to add to your collection. These pin badges look cute and cool AF. You totally gotta grab them all. They look great on your bag, shirt, ripped jeans, and baseball cap. 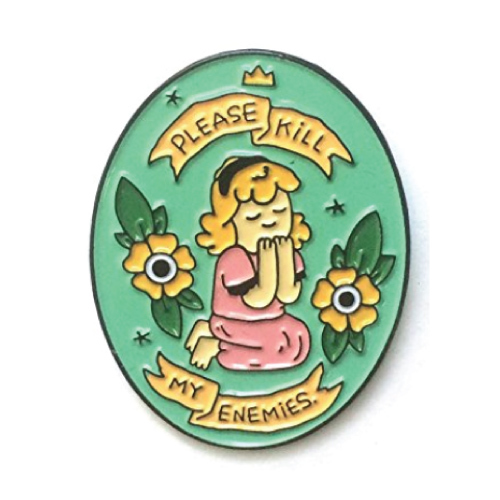 Awesome little pin that features the art by Micheal Sweater. It is colorful and well made with great details. 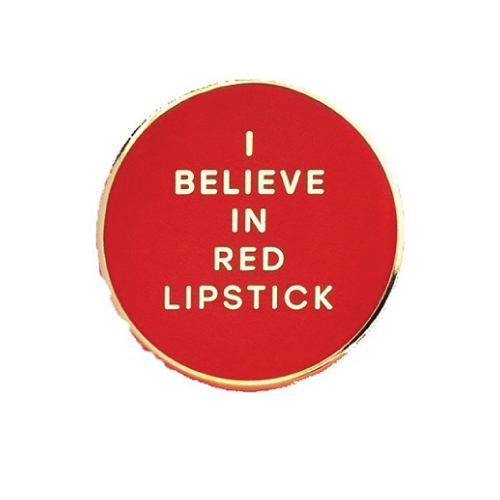 It is red, it is sassy, it is the new pin to add to your cart. For the nasty girls. Black and gold design. 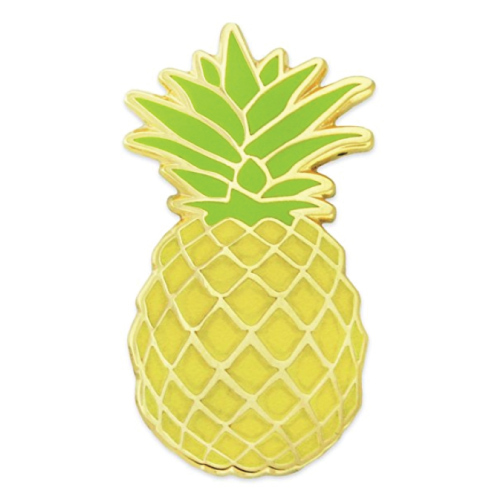 This pin looks stylish! 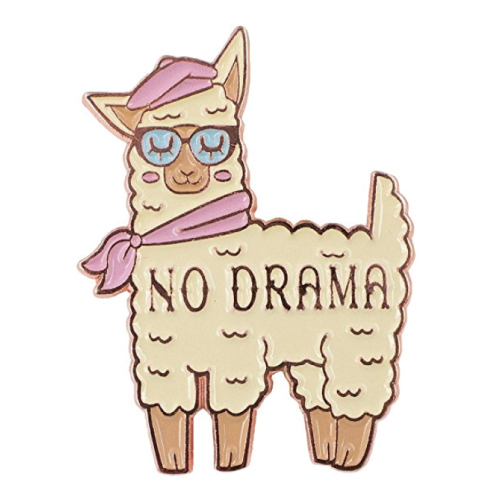 No no, no drama queen, there is only fluffy llama here. Boo! A cute little ghost for the Snapchat addicts. 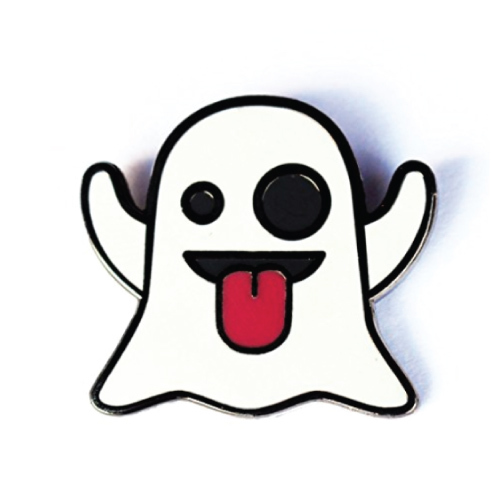 I think this ghostly pin will go well with this funny Snapchat shirt. Adorable little kitty laying on her back. 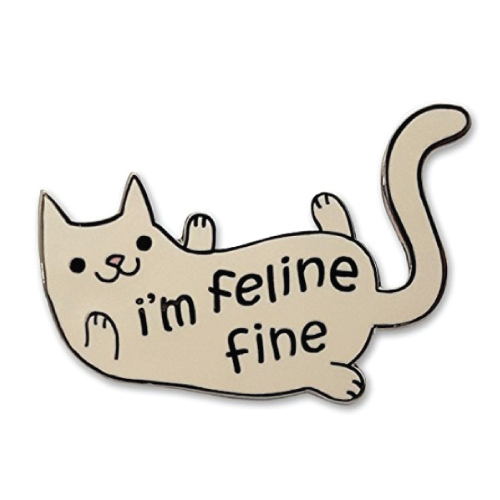 This pin is also featured in our cat lapel pin collection. Pink banner design with Shakespeare quote “Little But Fierce”. 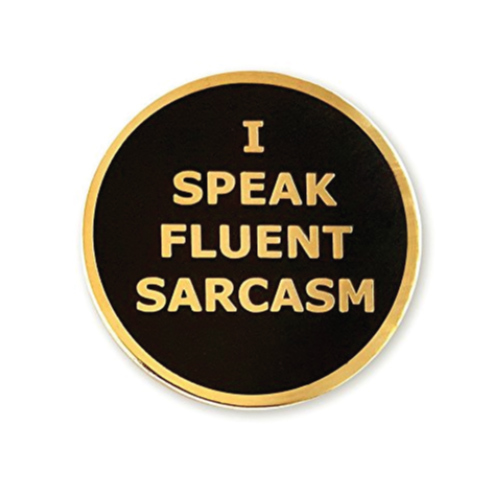 Sarcasm is my forte, I speak this language fluently. A pretty pin that shines brilliantly. You girls will definitely love it! 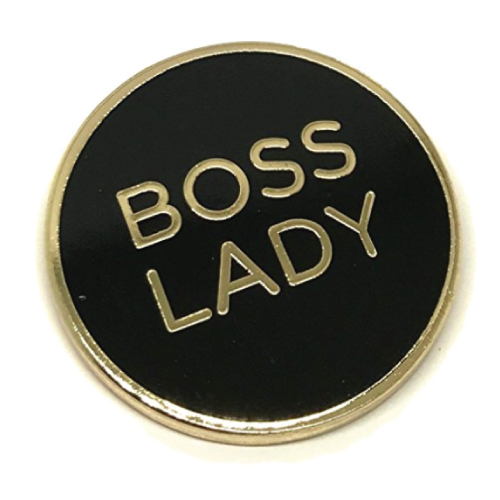 Simple and stylish pin for all the boss ladies. Maybe this is a good gift idea for the lady boss. I mean it looks fabulous and it’s affordable. What do you think? F*ck it no matter what. 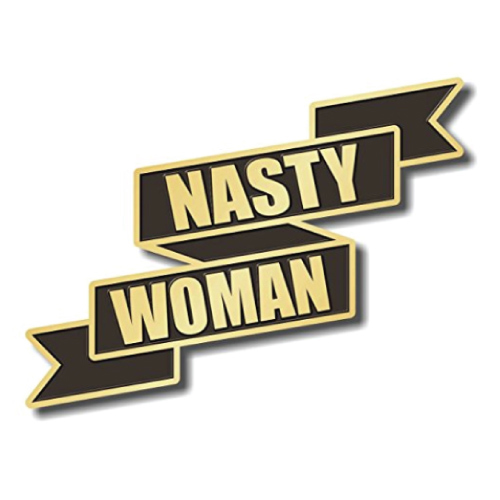 Just pin it on your hat or denim jacket to show your attitude. No word needed. 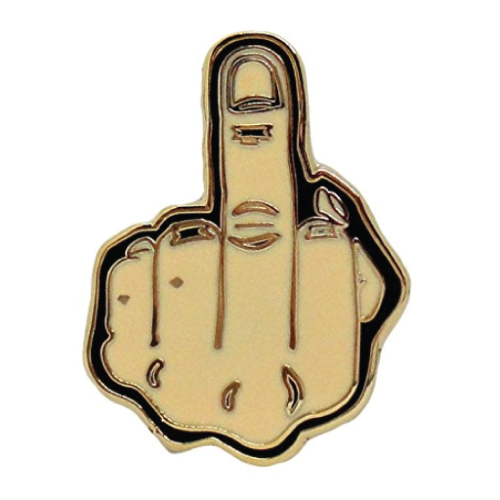 Just stick out your middle finger. Foodies must-have. 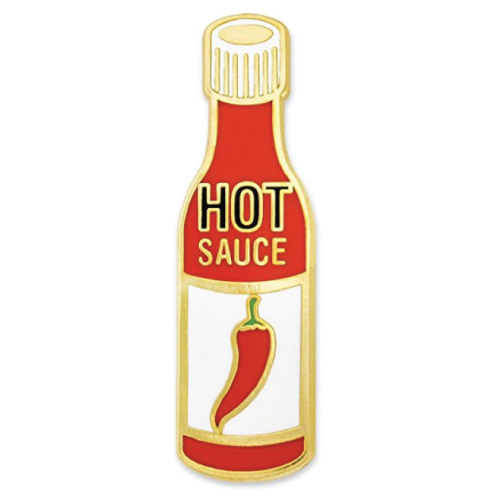 Show your love of spicy food to the world. 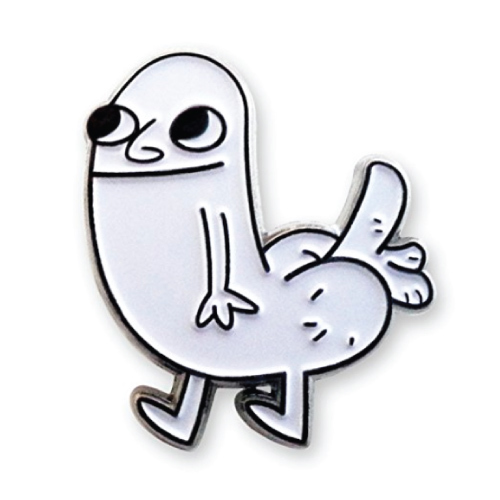 It’s Dickbutt. Need I say more? The poop with his iconic orange hair. 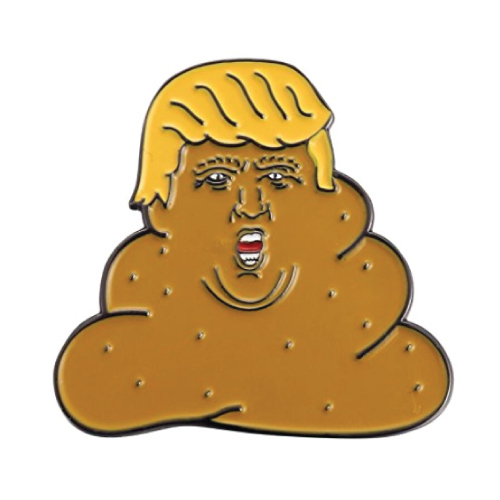 Perfect for the anti-Trump. 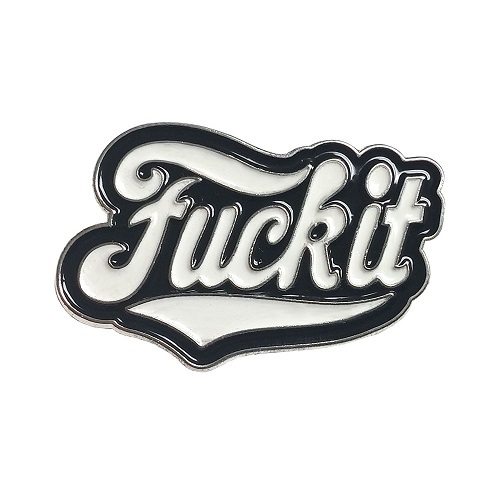 That’s the 15 unique lapel pins that we love. Get them today before they are sold out! Join us on Pinterest today and share with your friends!